Deciduous perennial. True green leaves grow on upright vertical stems. Spreads by tubers. 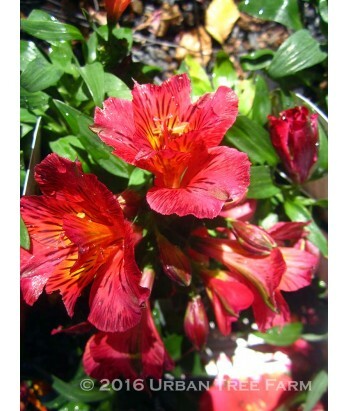 Striking deep red flowers with yellow throats bloom early summer through fall. Long-lasting cut flower. Pluck spent stems to encourage new blooms. Moderate water needs in well-drained soil once established. Hardy to 15°F.